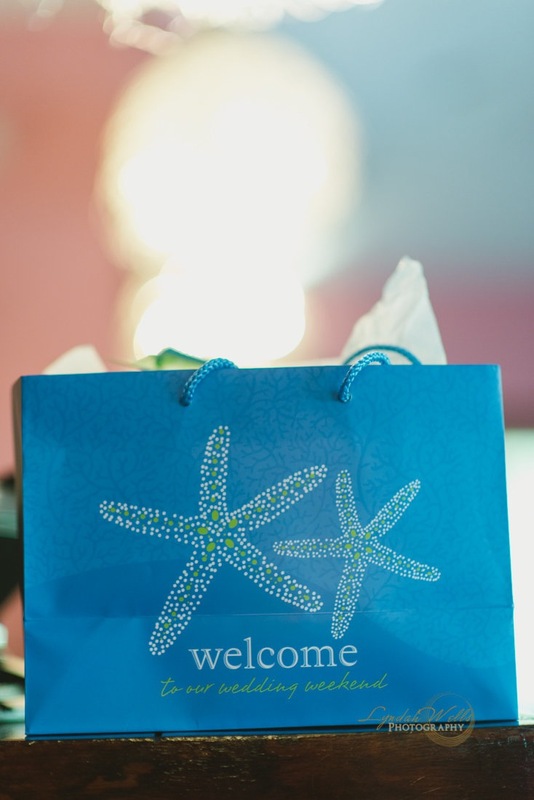 Amazing ideas for your Bahamas Destination Welcome bags from the fabulous Engage! Luxury Wedding Summit. Photo by/ Elan Artists/Scott Clark and Chellise Michael. 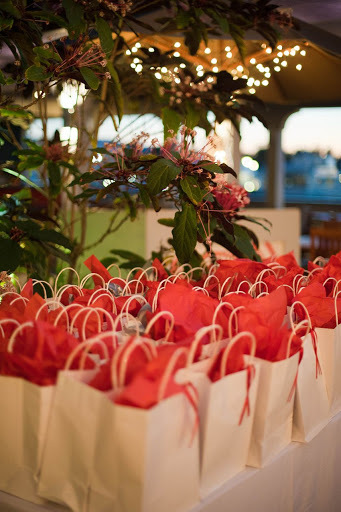 A red color palette Bahamas Wedding welcome bag. Just above this image is a Peacock wedding welcome bag. Photos by/ Lyndah Wells Photography. Bahamas destination wedding ideas being sought? Welcome bags to greet your guests are wonderful. What goes in a welcome bag? As you won’t be able to personally greet all of your guests, a welcome letter is great. An itinerary of events is also important. Include time, location, dress code, details on these and cost of any group excursions. A map of the area or What to Do booklet are also good to give your guests. Introduce local flavor with beverages and snacks from the area. Goombay Punch, a soda, locally brewed beer, water, salty and sweet snacks are perfect. Anticipate little things your guests will appreciate having … sunscreen, a beach towel, sun visor, a sweet smelling bug repellent. 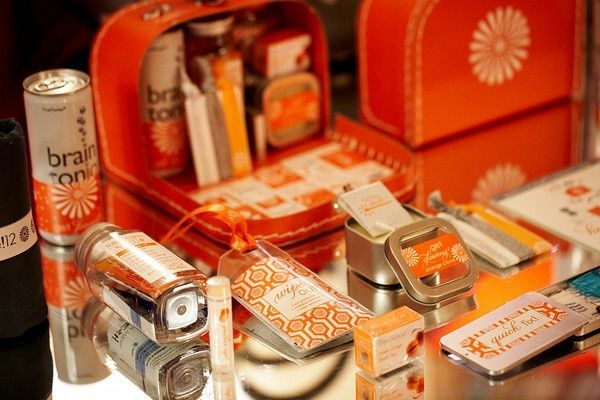 Welcome bags may be delivered to your guests’ hotel rooms for a fee or left with the hotel’s front desk to hand out as guests check-in. Straw bags, tote or shopping bags may be used to pack your welcome bag goodies. Your wedding planner can help you with packing your guests’ bags or make it a fun activity with your fiance as your Bahamas wedding weekend begins.